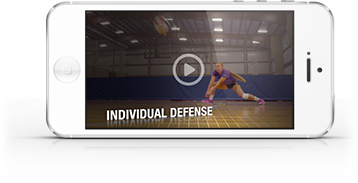 Setting the middle efficiently and effectively is a major asset for teams at all levels. It spreads the attack, takes pressure off the pin hitters and can be very hard to stop, especially at the lower tiers of the game, where defenses don’t see it as much. But for inexperienced setters, the middle set can be the psychological equivalent of a monster under the bed. “Young setters are often afraid to set the middle,” says Rachel Morris, a former setter at the University of Oregon who is now the director of coaching development at WAVE Volleyball club in Del Mar, California. This uneasiness is understandable. A not-so-good middle set is usually a whole lot uglier than a not-so-good high ball. Complete whiffs aren’t uncommon, and whiffs don’t do great things for a setter’s psyche. It’s the coach’s job to help their athletes overcome this fear, and for Morris, who says she runs a lot of “1s” with her 13s team, that involves explaining to young setters that connecting with the middle is really not so daunting. Jim Stone, former head women’s coach at Ohio State and longtime head coach of the USA girls’ youth national team, agrees. For Stone, the sweet spot at the lower levels is not a true bang-bang “1” where the middle is already in the air. It’s a slightly slower set – a 1 ½ or a 2 – that’s easier to locate and doesn’t require a perfect pass. For these sets, the hitter may be jumping as the ball is in the setter’s hands or even just hitting the floor with the plant foot. And that’s exactly the way Morris modifies it for her 13s, although she has recently been working on “1s” with her middles to try to get them in the air before the set. Stone and Morris both say that similar adjustments should be made at this level for the “3.” They want it loopier and a bit slower than you’d see from a D1 college team or the national team. 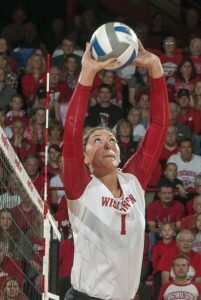 U.S. national team setter Lauren Carlini, a four-time AVCA All American at Wisconsin from 2013-16, says the middle attack “is one of if not the most effective attacks” but doesn’t come together at the lower levels without patience and persistence. Stone says that a greater overall level of athlete confidence in setting the middle could be achieved with more buy-in from everybody in the game. Don Patterson is the editor of DiG magazine and is the senior content director for Art of Coaching. Previously, he was a sportswriter for the Los Angeles Times and an editor at CBS Sports.